Gain valuable yearbook experience by attending a national scholastic journalism convention. Walsworth Yearbooks exhibits each year at these national conventions, which provide amazing educational opportunities for your yearbook staff. 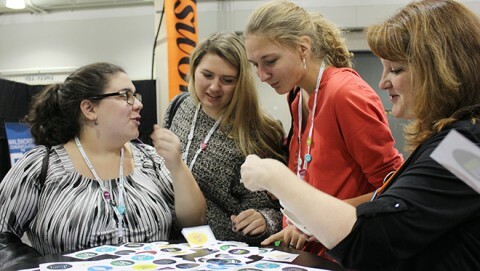 Held twice each year – a Fall edition in November and a Spring edition in April – this convention hosted by the Journalism Education Association (JEA) and National Scholastic Press Association (NSPA) attracts thousands of yearbook staffs from all over the country. For more details and to find out dates and locations of the next convention, visit the NSPA and JEA websites. This national convention from the Columbia Scholastic Press Association (CSPA) is held each March at Columbia University in New York City. To learn more, visit the CSPA website.